Police and Crime Commissioner says Highways England officers should help roads police out with some of their more 'mundane' responsibilities. Gloucestershire Police and Crime Commissioner Martin Surl says he wants Highways England officers to be given extra training and powers so specialist roads policing officers can focus on serious crime. He said: “The days when police are tied-up checking heavy goods vehicles, tachographs, the weight of loads - the sort of thing a traditional traffic officer used to do - are gone. "If the police are to focus on more serious issues like organised crime, modern slavery and child sexual exploitation they cannot do it all. “I am not suggesting that policing our roads is not important because it is. It’s a question of priorities and I think that some of the more routine work could be carried out just as effectively by Highways England. The independent PCC wants a structured partnership between Highways England, DVSA and the police for the strategic road network with police being accountable for combatting the criminal use of the roads. He says traffic officers powers would be similar to a PCSO although a bespoke list of powers would need consultation. “It is not right or publically acceptable to use council tax precept to provide policing of a national/international road network. The impact would be a safer road network and the release of officers to police the other A, B and rural roads that may be overlooked in favour of the strategic road network. “Policing the strategic road network is a gap I believe the police just do not have the resources to fill. Something needs to change,” he said. Mr Surl believes the new model would be funded through structured partnerships, targeted roads intelligence for the entire network and a requirement for a portion of Highways England’s funding to be invested back into the network and develop smart roads. The Conservative party pledged to create a national infrastructure police force by “bringing together” the Civil Nuclear Constabulary, Ministry of Defence Police and British Transport Police in its May 2017 election manifesto. Proposals examined by the government in the strategic defence and security review included the possibility of bringing Highways England officers and Home Office forces’ road policing units into the new force. 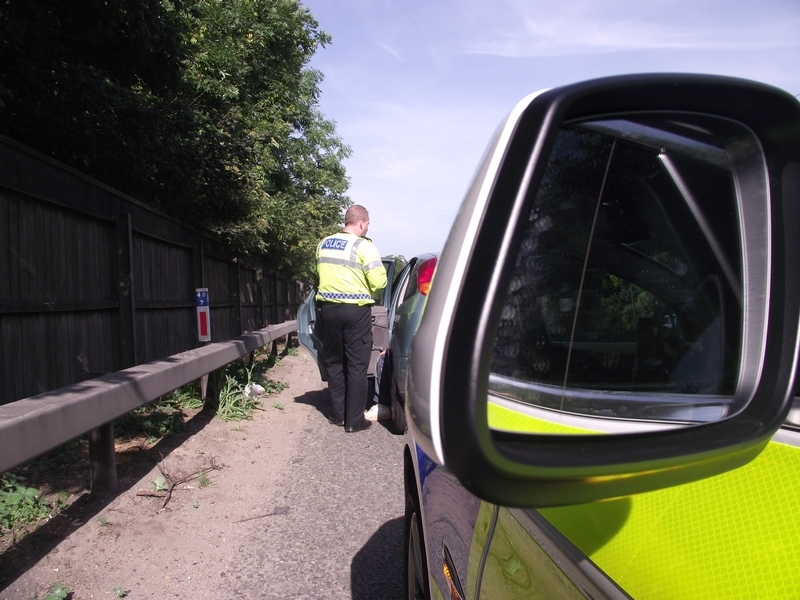 "Highways England will continue to work closely with the NPCC, motorways policing groups and other emergency services to support enforcement activities if they are seen as appropriate. "Our Traffic Officers provide vital support to the travelling public and Highways England is extremely proud of the work they do to keep our network moving and our customers safe. "We appreciate the recognition by the NPCC that our Traffic Officers have more to offer to educate road users and improve the overall experience of customers on our network. "We will continue to closely collaborate with motorway and traffic police teams to support them with their enforcement activities and to improve safety, by aligning working practices and sharing technology." A Home Office spokesman said: “We have provided a strong and comprehensive settlement that will increase funding by £460m or 2018/19, including £280m drawn from increased precept contributions, to ensure that police have the resources they need to carry out their vital work.